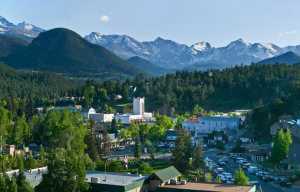 Let the cathedral of the Rocky Mountains witness your wedding. My wife Lori and I were married outside in Estes Park, with the snow-capped Front Range as a backdrop, and after 30 years our families still marvel at the idyllic setting.There are so many stunning Estes Park landscapes that will provide an ideal wedding location, from an unforgettable ceremony at a historic hotel, a traditional church wedding at a stone chapel or an outdoor service in Rocky Mountain National Park.Those seeking an elopement or an intimate wedding may wish to check with one of the bed and breakfasts that sprinkle the valley. Several offer packages that include a romantic fireside setting or a deck with a panoramic view, an officiate, honeymoon lodging, flowers, cake and dinner for a small group.Larger locations offer guest lodging, catering, honeymoon cottages and halls for the rehearsal dinner and reception. 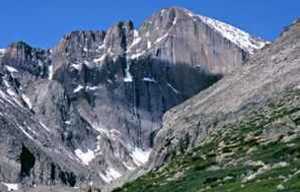 Some are tucked along the Fall River or Big Thompson River while others have stunning mountain vistas. If you prefer a touch of luxury, Estes Park has several properties that will pamper you and your guests in style.Get started planning your wedding in Estes Park, online right here. However, our Director of Group Sales and Marketing, Karen Lynch, can simplify the process of selecting a location for your wedding, rehearsal dinner, lodging, and contacting vendors such as florists, spas, photography, bakery, etc. Simply email her at klynch@estes.org or call (970) 577-3956 with details such as dates, approximate number of people in the reception and we will contact the local properties on your behalf and all properties who can accommodate the wedding will email you directly. It’s that easy! 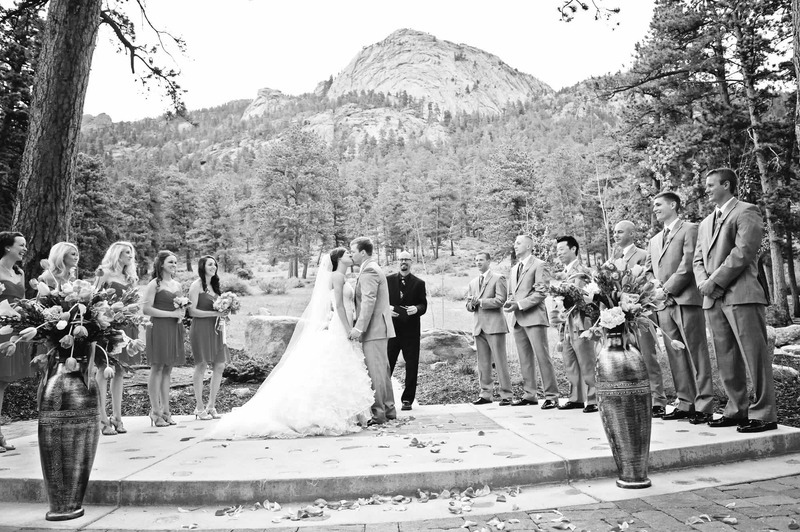 Your wedding guests will delight in what Estes Park has to offer. 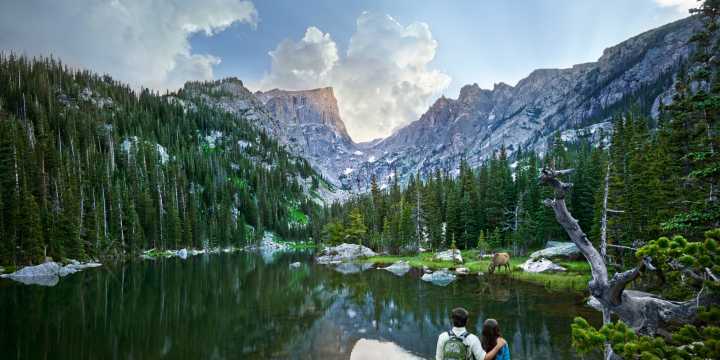 If they crave the outdoors, they can hike or go horseback riding on the 350 miles of trails in Rocky Mountain National Park. Sportsmen can fly fish in the Big Thompson River while golfers can play the Estes Park Golf Course against a backdrop of Longs Peak. The truly adventurous should sign up for a whitewater rafting trip.Shoppers will delight in browsing the tree-shaded shops in downtown Estes Park, while history lovers can tour the Estes Park Museum, the historic Fall River Hydro Plant and MacGregor Ranch, first settled in 1973. Those seeking a thrill should take the ghost tour at the Stanley Hotel, which inspired Stephen King’s chilling “The Shining.”Make your wedding an unforgettable experience when you plan it in Estes Park.